Aren't these scissors just gorgeous?! Maybe it's only crafters and sewers who get excited about such things, but I saw these scissors in a local supermarket and just grinned insanely. They were a bargain price and I couldn't chose between the two, so I bought both, well you can never have enough! But these old badboys are still my favourites. 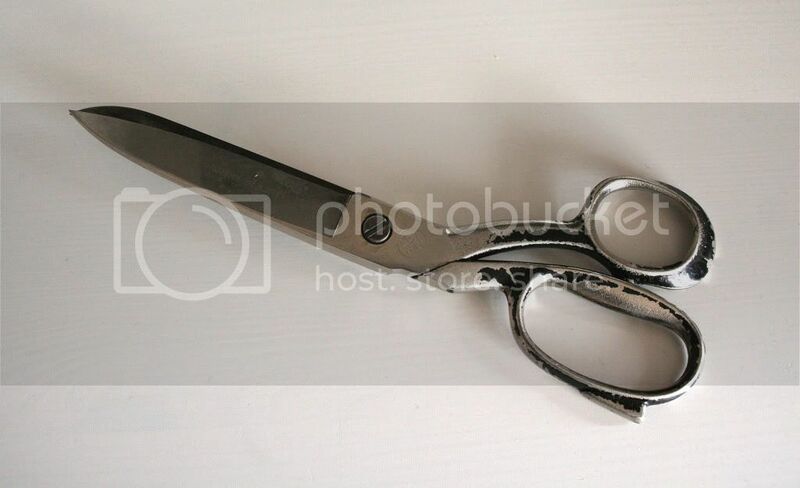 8 inch stainless steel dressmaking shears. 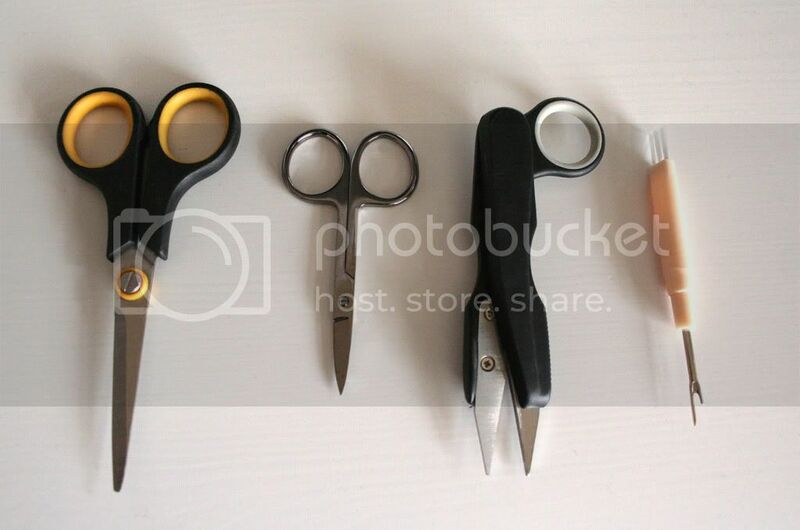 Oh yes, these are not mere scissors, they are shears! I got these second hand about 20 years ago so I think they are at least 30 years old. My lovely dad sharpens them for me, and they can cut through layer's of thick fabric with ease. Leather? Denim?...pah, they laugh in your face! If you have any recommendations for a rotary cutter (or one's to avoid), I'd be very grateful for the advice. 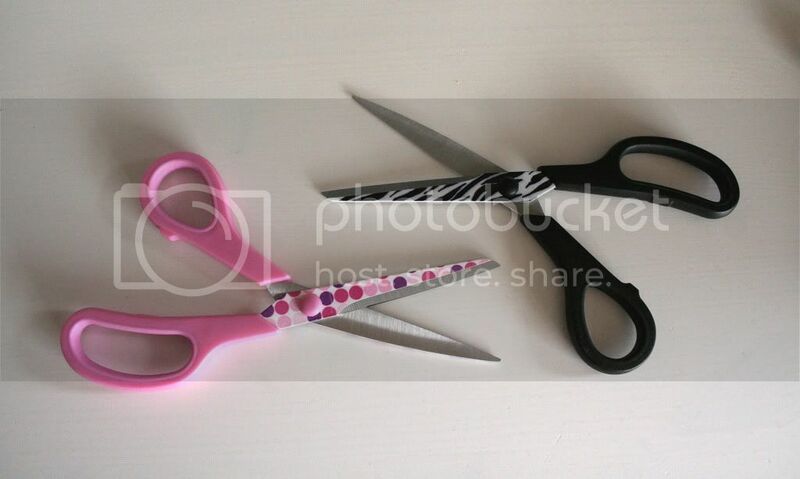 And I'd also like a pair of pinking shears, to me they are the glamorous sister of the humble scissors. So what type of scissors do you have, and which do you lust over? I have no knowledge of scissors all i know is i've only been sewing for a few weeks and all mine are terrible. Your new ones look very pretty!!! I always think things like scissors etc are scary to buy. DO i buy the cheap ones and hope for the best or do i buy the expensive ones and get cross when they are also rubbish. I have this dilemma with lots of things. Ooooh I do like your funky new scissors! Don't think I could choose between them either and would have bought both! I'm in love with my orange Fiskars scissors at the mo! 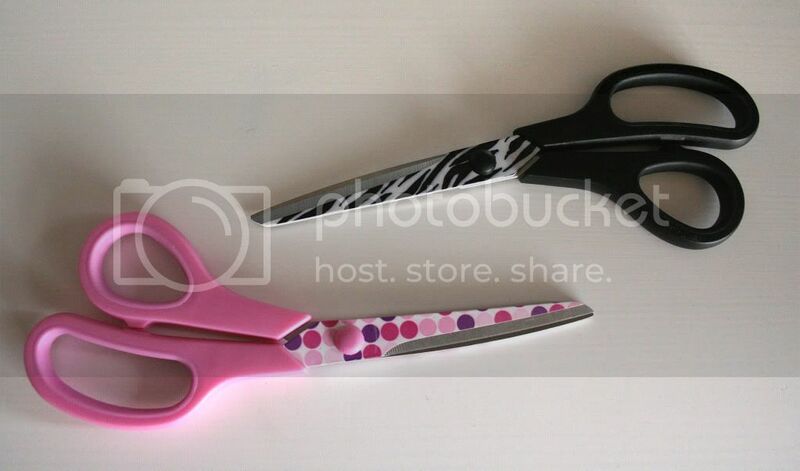 I bought my pinking scissors for around a fiver in Ikea - for the price its fab! Hi, i bought my scissors from Ikea, while browsing their fabric, and i must say they are very good. I love your new scissors! I've been toying with getting a rotary cutter and mat, but like you am unsure which to get. Oooh your new scissors are fantastic! I think we need to get ourselves a pair of those! You are right, you can never have too many pairs of scissors!